The core concept behind the data migration is to build an exact copy of the source system only this time with SQL Server providing the underlying database layer. 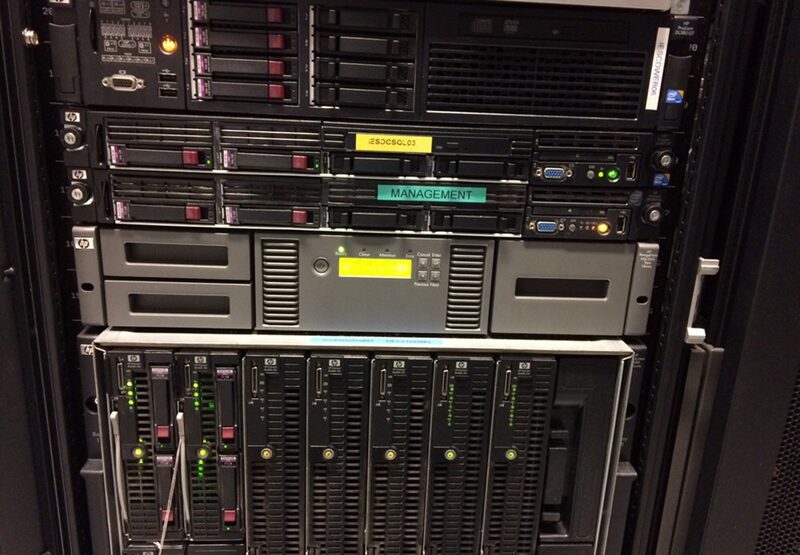 Into this new, SQL Server based system, the data is pushed from the source. This data push is possible because Dynamics AX stores the structure of the database schema within the codebase of the application itself; the schema structure is imposed into the database via the Database Synchronisation function. The new, target system gets the schema structure from the source system by copying the license and configuration data, and by copying the codebase itself (in the form of the application folder from the source application server). 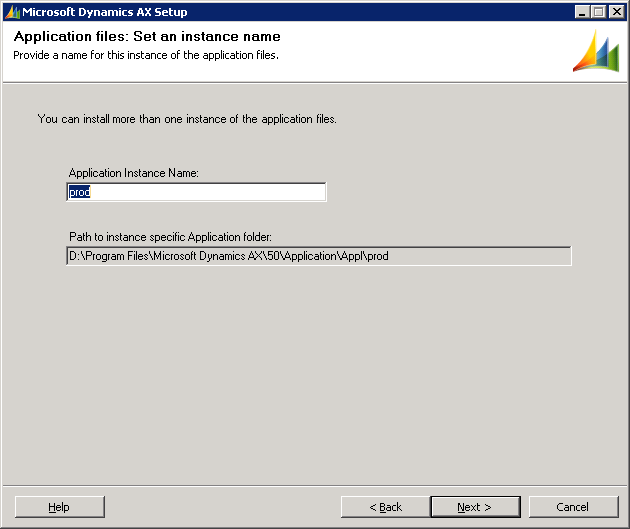 The following procedure details how to install an instance of Dynamics AX 2009 on SQL Server to act as the target application instance. 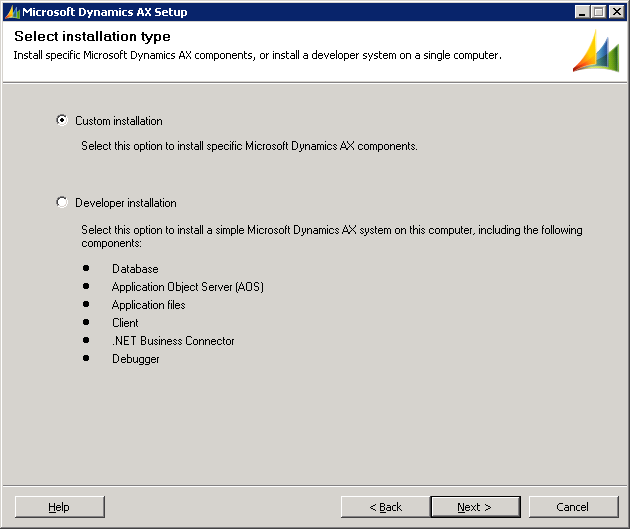 Dynamics AX 2009 requires the .net 3.5 framework to be installed on the server prior to installing the application. On Windows 2008 R2 servers use Server Manager to install .Net via the features option. Installing all .Net components on Windows 2008 triggers the installation of certain prerequisites including the IIS Web Server, this would be necessary for environments where AX components like the Enterprise Portal were being migrated. 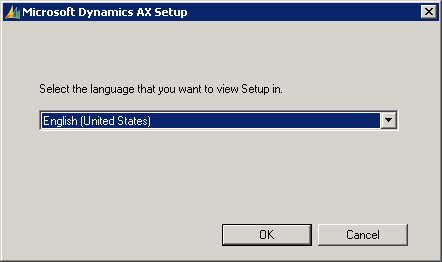 Dynamics AX 2009 is localised into several languages, however the only regional version of English is the United States setting. Accept the license terms to proceed. 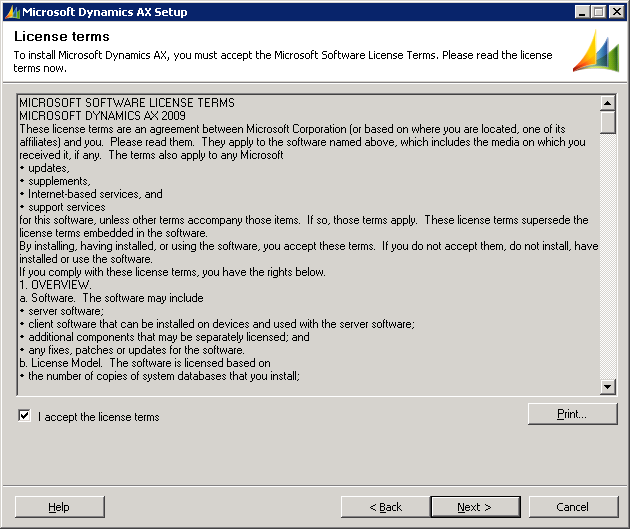 Note that these license terms are not the same as the licensing provided via the Dynamics AX license file which is used later in the configuration process to activate the licensed Dynamics modules within the system. 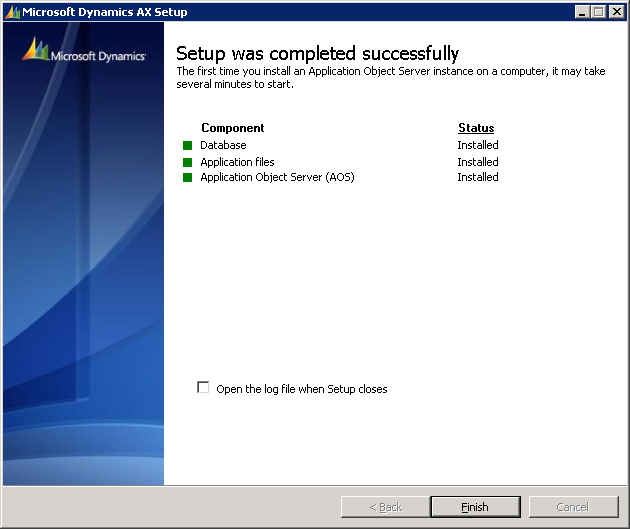 Dynamics AX 2009 can be installed in one of two distinct configurations – on a single computer for use by a developer or other user that would require a complete, self-contained, single-computer instance – or in a multi-server configuration that would be expected in an enterprise environment. For multi-server configurations, select the Custom Installation. The four base components of Database (Microsoft SQL Server), Application Files, Application Object Server (AOS), and Client are required for single application server type installations. 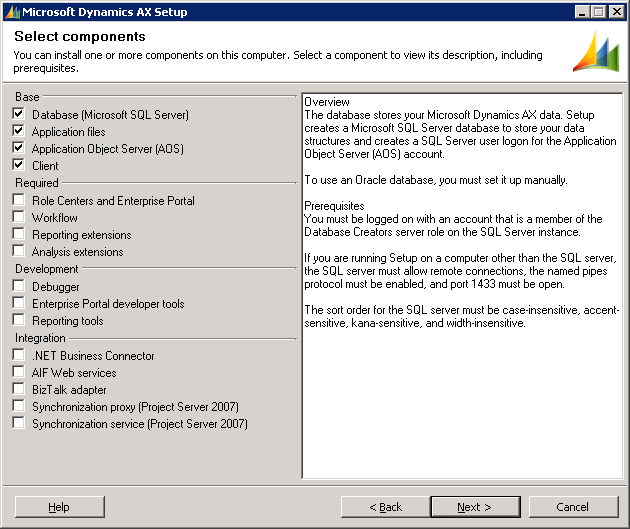 Note that selecting “Database” does not install SQL Server – the RDBMS needs to be installed in advance of installing Dynamics AX. The Database option is used to create a database in an instance of SQL Server. 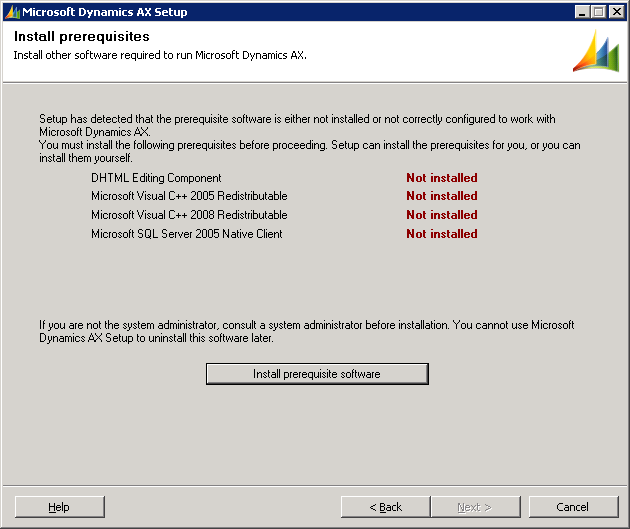 There are four prerequisites for Dynamics AX 2009. 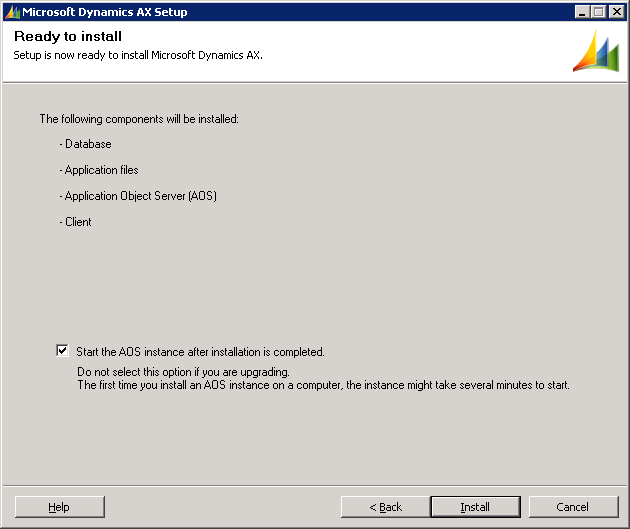 If these are not already installed on the server, the Dynamics installation routine can install them. Select Install prerequisite software to install any missing components. Certain 32 bit components (like the Dynamics client) will be installed in a new directory that was not present on the original 32bit server. Allow the installation routine to install the software into the appropriate locations. 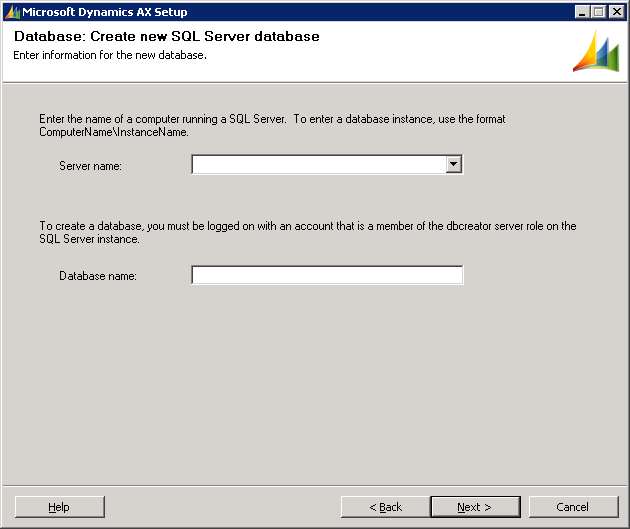 Enter the full name of the database server and instance that the new Dynamics database will be installed on. Enter an appropriate name for the new database that will enable easy future identification. As more than one instance of AX2009 can be installed on a single server it is necessary to provide a name for the instance being installed. For data migrations the name provided for the AX instance should be the same as the instance being migrated. Ensure that the path to the instance specific application folder is the same as that for the instance being migrated (note that the drive letter can be different, but it is advisable to keep as much of the directory structure the same between the two instances as possible). 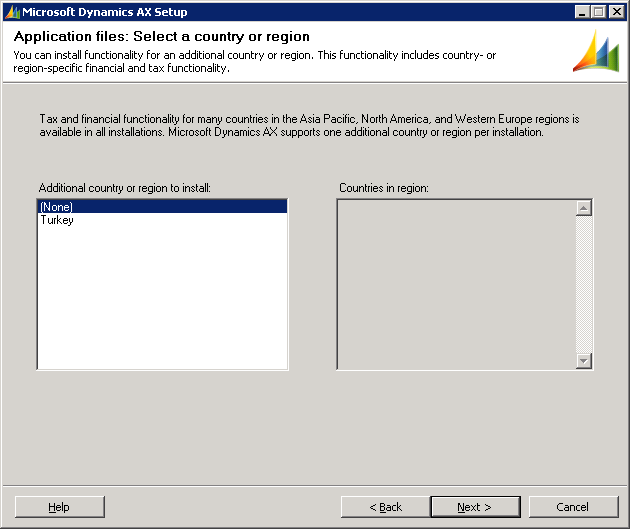 Additional geographic specific functionality can be installed in AX2009 as required. Similarly to the application instance, more than one AOS (Application Object Server) can be installed on a computer, so a name must be provided in order to differentiate between AOS installs. Again, name the AOS instance with the same name as that on the source server. It is advisable to leave the default TCP/IP port setting. A user account can be specified for the AOS service to use. 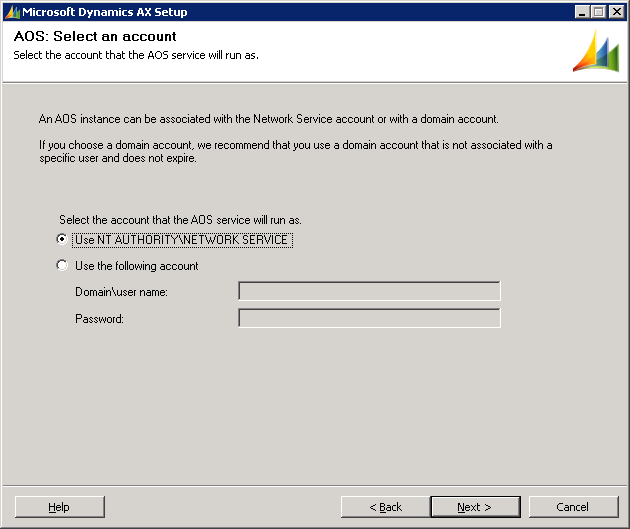 It is recommended to use a specific domain user account for the AOS, but the setting for the source AOS service should be copied to remain consistent. 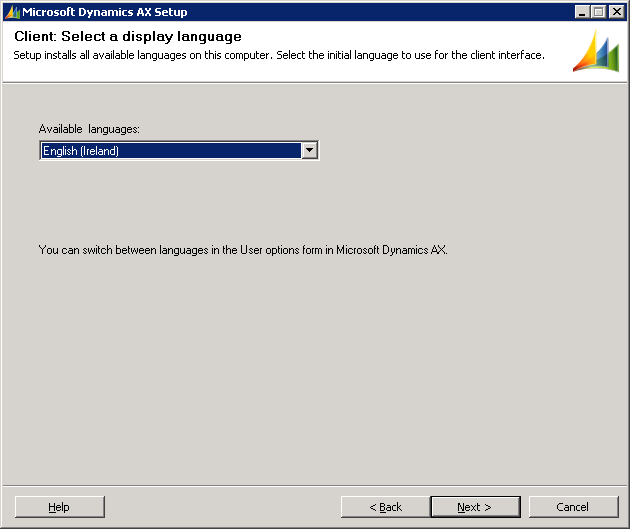 The client install contains more language options than the other components. 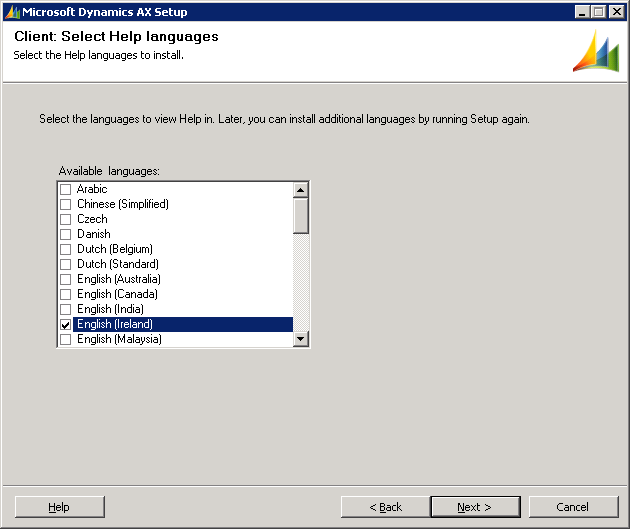 Select the appropriate setting for the display and help languages. Verify that all required components are to be installed. It is advisable to start the AOS service from within the installation routine. Complete the installation and verify all selected components have successfully installed and the AOS service has started properly.